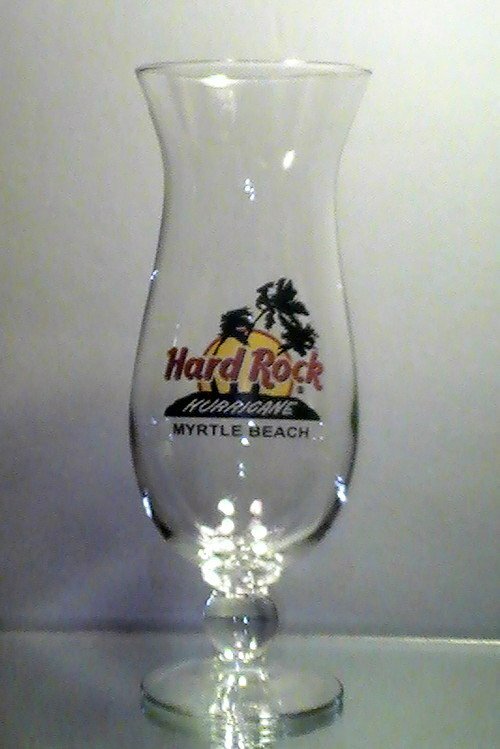 Hard Rock Cafe Logo and Myrtle Beach organic ink decal print on glassware. 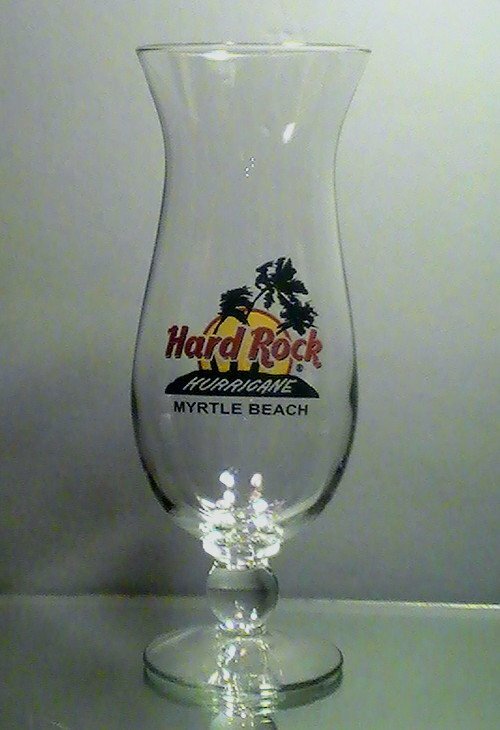 Collectible Hard Rock Cafe Hurricane Glass from Myrtle Beach, S.C. Hard Rock Cafe Logo in red and black, against a setting sun. 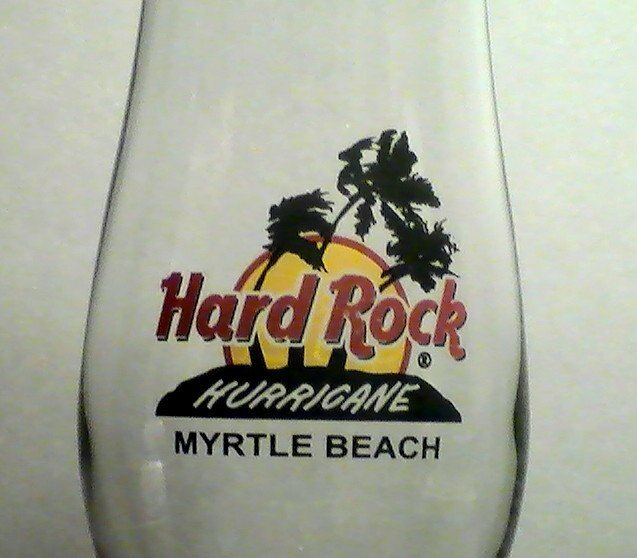 Logo shows tree blowing in hurricane force winds. Glass holds approx 20 ounces. This item is new and unused, kept as a collectible. No original box. Authentic Product.